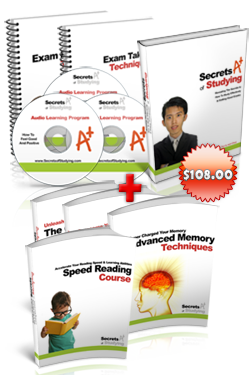 It is possible for you to accelerate your learning if you want to, you know that don’t you? Not besides helping yourself to learn faster, you can help others as well. Whether you’re a trainer, a coach, or even a parent, this can be invaluable for you. Everyone processes information differently -We all learn differently. A person who process thing in a certain way would learn faster using a particular method, using other learning methods would only slow him down. 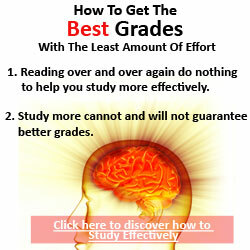 Now do you know why some people study so hard but could not do well in exams? That’s because the teaching method taught in school does not fit his way of processing information. The Examiner is an analytical person. If he is doing a math problem or applying a new job, he won’t understand it until he can mentally break down the process and fit it back together in his head. He has to memorize the process on the back of his hand before he can feel comfortable with the task or problem. The ideal way to help the Examiner to accelerate his learning is to give him a great amount of time in the classroom or lab so he can devour the material and learn at their pace – without the pressures and distractions. The Performer is exactly opposite of the Examiner. If you want to help the Performer to learn faster, throw him in a room with the task or problem and let him play with it “physically”. He learns best if he can practice it with his own hands and learn with OTJ (On The Job) training. He’s one that would make a couple of mistakes, but that’s the gist of learning for The Performer. If you have a Performer, do not punish her for mistakes. He may make a few mistakes but he is on the process of learning. Punishing him may lose make you lose a valuable employee. And if you’re teaching your children, understand their learning strategies and praise them for their effort. This will actually encourage them and they will in turn learn faster. In fact the more mistakes they make, the faster they learn. The Observer could also be called “The Modeler” or “The Imitator”. When the observer is in a classroom, he may seem to be the slowest learner. From outside, it is true that he is a slow student, but it’s certainly not true to say that he is a slow learner. The only people slow between the two are those who do not understand the learning processes of “The Observer”. The Observer understands in a holistic way and can only excel when he sees how everything links together. Only teaching in a holistic way would then provide them with an environment conducive to study. Whether you are a teacher or a student, learning can be a nightmare or it can be fun. One thing for sure though, unless you know the person’s method of learning, it can be extremely hard to succeed in a particular field or subject. Having said all of these methods, they are not the only ways people learn. But with these 3 main types, hopefully, with this information, you will be more equipped to train yourself up or groom another genius!